It’s not by much, but some Floridians will soon see increases in their paychecks, thanks to a hike in the minimum wage that goes into effect on Jan. 1st. The minimum wage for workers in the state has gone up to $8.46 an hour from $8.25 an hour, or a bump of 2.5%. Every year, the state’s minimum wage gets readjusted in a way that is tied to the rate of inflation, due to a 2004 ballot amendment that voters passed. This year’s raise follows a contentious 2018 gubernatorial race, in which Democratic nominee Andrew Gillum pledged to try to raise the statewide minimum wage to $15 an hour, a rate many progressive groups have called for. Gillum lost that election to Gov.-elect Ron DeSantis, a Republican who painted hiking the minimum wage so dramatically as anti-business and anti-growth for the state economy. 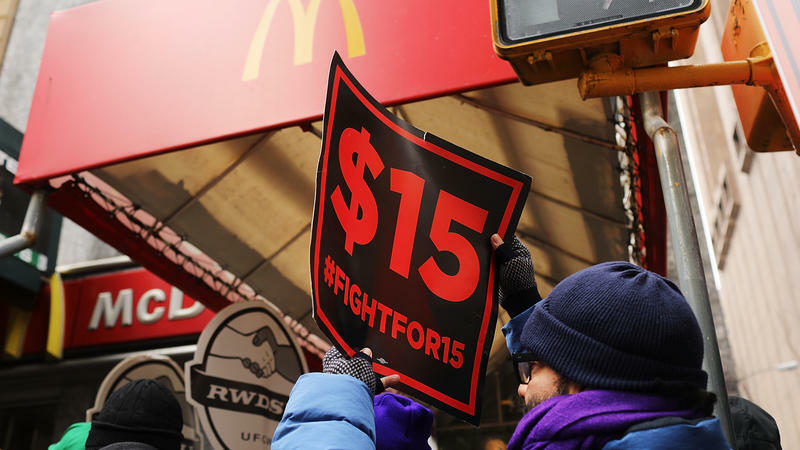 In 2016, the city of Miami Beach passed an ordinance that would have raised the minimum wage in the city to just over $13 over the course of several years. The city immediately faced legal challenges to the ordinance by retail and restaurant groups, claiming a 2004 ballot amendment precluded any municipality from adjusting minimum wage on its own. The city has lost challenges a district and appeals court, but the Florida Supreme Court will soon hear arguments about it. The story’s not over, either. A political action committee called Florida For A Fair Wage has started gathering petition signatures in hopes of getting a statewide increase to a $15 minimum on the 2020 ballot. So far, the group has raised nearly half a million dollars in the effort.